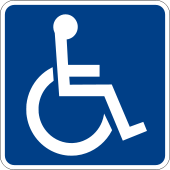 Since 1990, the Americans with Disabilities Act (ADA) has prohibited businesses from discriminating against persons with disabilities in connection with their employment by the business, and their access to the goods, services, facilities, or accommodations offered by the business. When the ADA was passed into law, the types of businesses Congress intended to be covered were businesses with physical locations, such as hotels, restaurants, theme parks, stores, and other places that catered to the public. Although it was enacted with the best of intentions, because the ADA allows private individuals to sue companies for violations, it has become an increasingly significant source of revenue for class action attorneys, many of whom make a substantial living extorting large amounts of money from small mom-and-pop businesses that are struggling to stay afloat for failing to comply with ADA standards concerning door width, counter height, sidewalk slope, etc. It is now the ADA’s 25th anniversary, and as we all know much has changed. Until now, most online businesses have been able to disregard the ADA, but all that’s about to change. The Department of Justice will soon expand ADA compliance standards to include strict requirements for website accessibility, which means that any business with an online presence will be required to make their websites accessible to persons with disabilities or face litigation in state and federal court, and plaintiff’s attorneys are already sending letters to businesses complaining of online discrimination and demanding payments of approximately $25,000. The DOJ has stated that April 2016 is its target date for publishing proposed website accessibility regulations, and it is widely expected that it will require businesses to conform to standards mirroring the Web Content Accessibility Guidelines 2.0 (WCAG 2.0), which are published by the World Wide Web Consortium, the main international standards organization for the World Wide Web. Robust: A robust website should maximize compatibility with current and future user tools. If you’re confused about whether your site complies with these standards, you’re far from alone. Most websites do not currently meet them, which means class action attorneys are going to have a very, very good 2016.